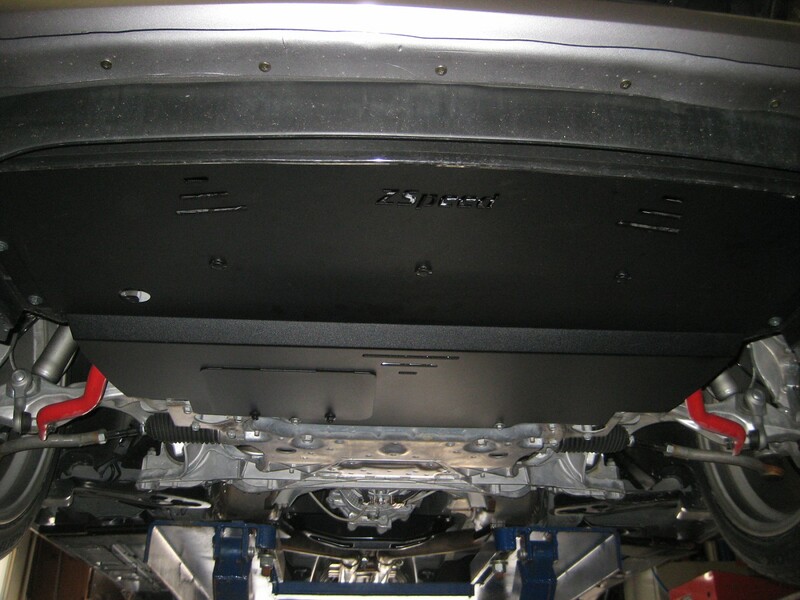 I recently installed a ZSpeed aluminum undershroud on my 370Z. 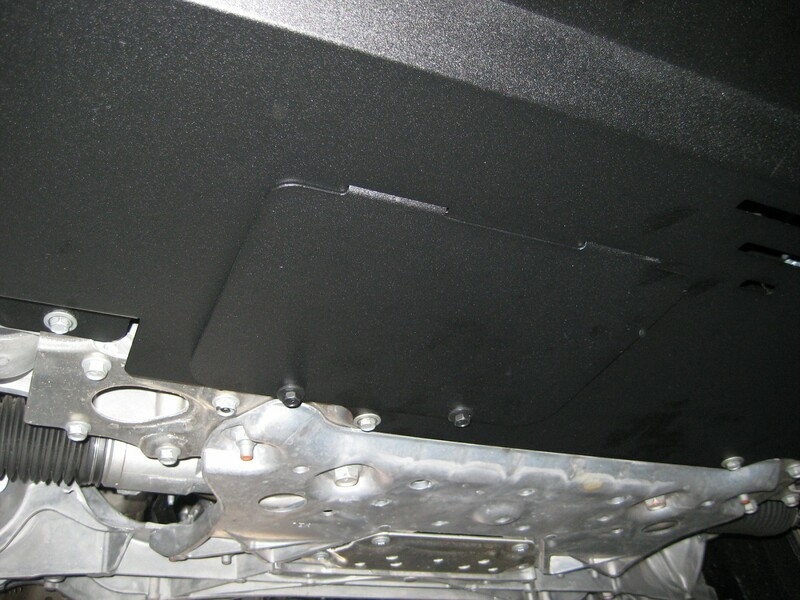 It is a bolt on replacement for the OEM plastic undertray and it has a trap door for easy oil changes. No more removing the entire tray. The version I purchased also is powdercoated black for better durability. Fit and finish are first rate. 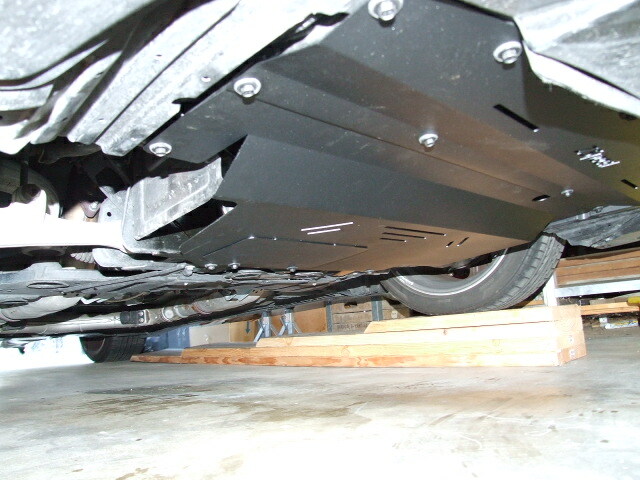 I think it is a nice addition to the car and it should be a lot more sturdy than the OEM plastic piece. Here are pictures with the undershroud installed. 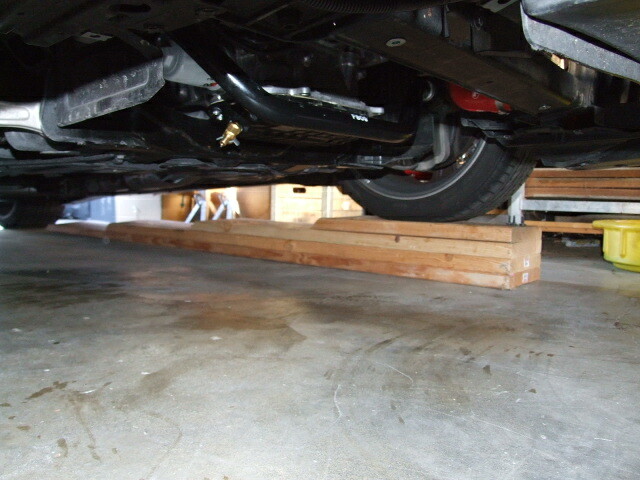 Trap door for easy oil changes. I'll bet that Hotchkis bar is making contact with the undertray. It sure is on mine, but it took me several thousand miles to discover. I had the tray off and noticed all the paint worn off in the mid-section of the bar, and about half the thickness of the aluminum tray worn away, too. 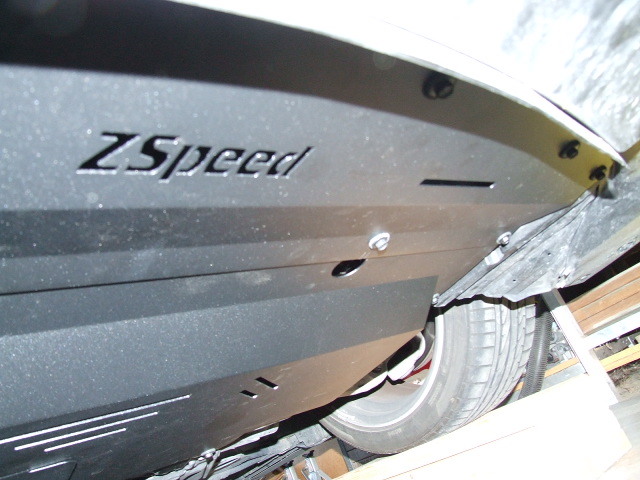 My ZSpeed undershroud is the 370Z version rather than the 350Z version. 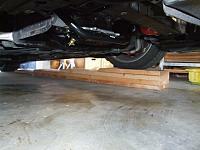 I checked but didn't see any rubbing issues with my Stillen sway bars. I see that ZSpeed has two versions of the 350Z undershroud. Do you by chance have version 1 instead of version 2? I understand that version 2 is deeper. Apparently the 370Z version is as well. Mine is a V1 on an '08 350Z. I'm working on some spacers. Werd. Mine fit good too. 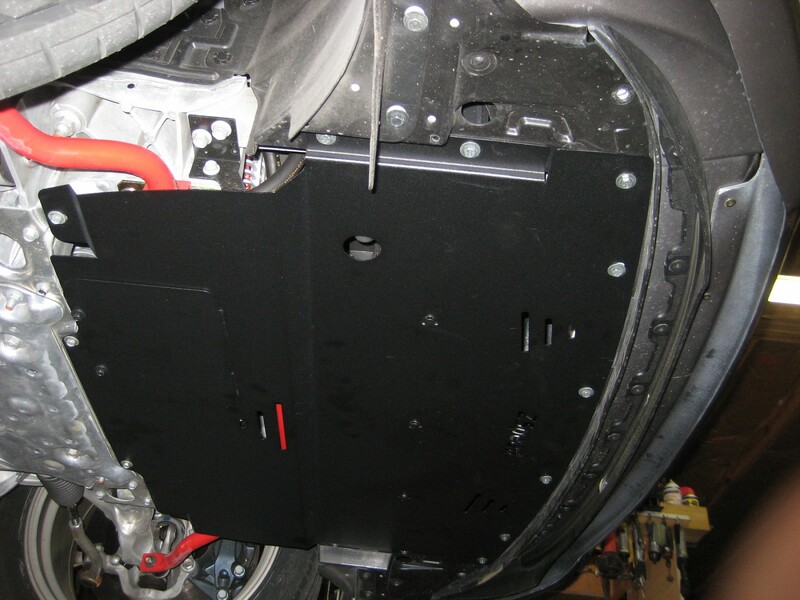 Bolted right up to the Chargespeed front bumper with no issues. I bought one for my nismo but I haven't installed it yet, I'm waiting for the next oil change. 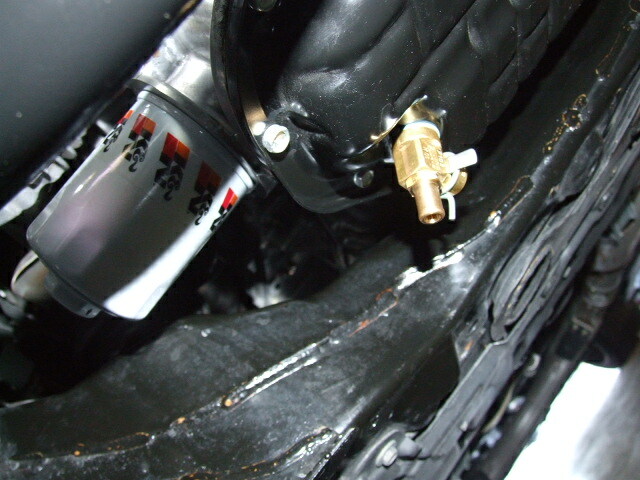 I'm also thinking of getting a quick oil drain valve to speed things up even more. how much are they, and who has the best price? I can't remember the price but they usually have them on sale. Last edited by Dan Garcia; 07-08-2011 at 10:00 PM. 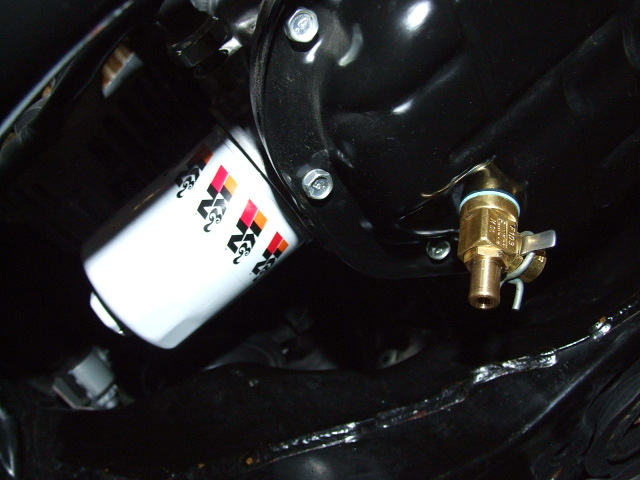 I like that drain plug. Will prob be ordering a couple for myself. Where can you buy that drain plug? I dont see the drain plug there. We fixed that issue a long time ago when we introduced the V2. 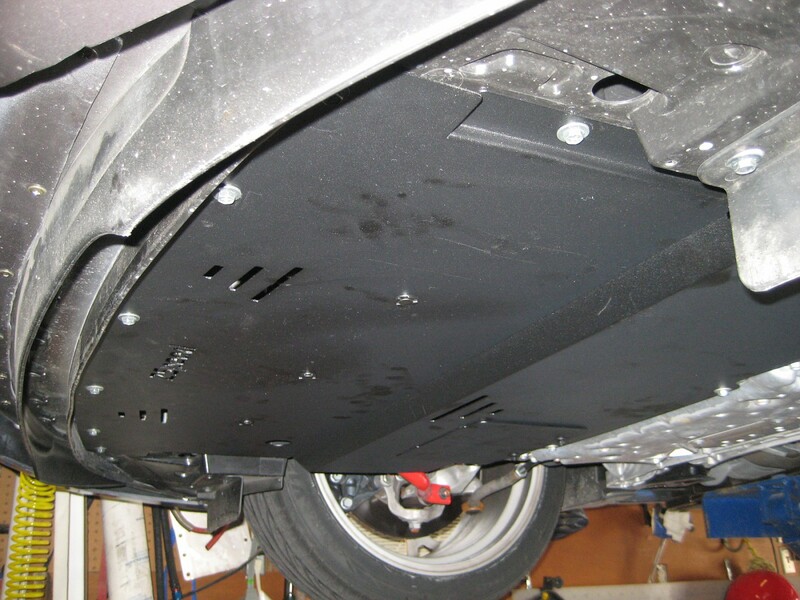 The V1 fit fine with the stock sways but add the hotchkis and it could rub. Since you have already purchased the V1 I will offer you a very friendly deal and free shipping on the V2 if you would like to upgrade. Make one for the BNR32 and I'll buy that so damn quick.